Hi lovelies! 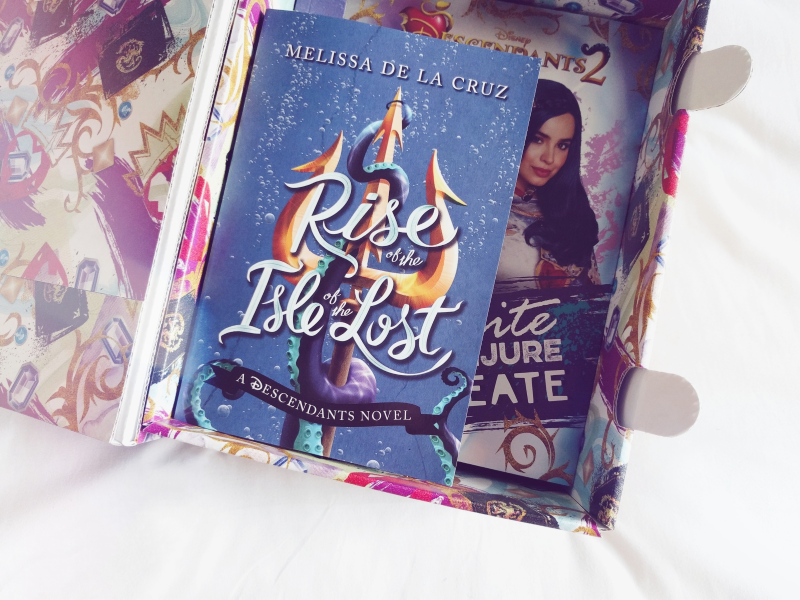 A little while ago the lovely people at Parragon books contacted me to ask if I'd like to receive one of their Descendants 2 book boxes to review and of course I jumped at the chance! I am a huge fan of Disney's Descendants - I honestly think it's one of the best Disney Channel Original Movies (*sings Evil Like Me forever*) - so I was eagerly waiting the release of the sequel, Descendants 2! 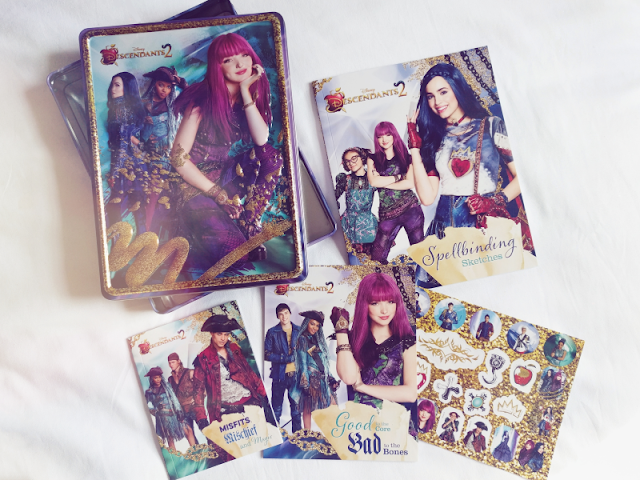 I finally managed to catch up with the new film tonight and I fell in love all over again but with all these beautiful goodies from Parragon, the magic doesn't need to end yet! For the release of the new film Parragon have published a lovely range of books which should cater to every type of Disney fan. In the book box I was sent (which was beautiful in it's own right!) I received the Book of the Film, an activity book, a happy tin, and most exciting of all - Rise of the Isle of the Lost by Melissa De La Cruz, which tells the story of Uma who is the new villain in Descendants 2! I started reading this before I saw the film and although I haven't finished it yet I can already tell it's going to be one of my favourite Disney books. 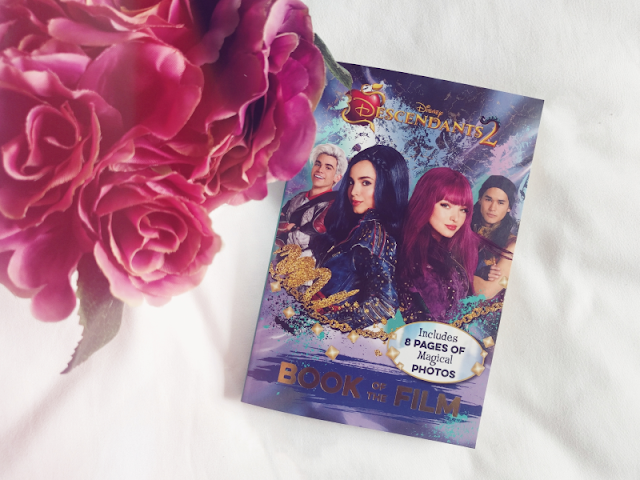 If you know anything about Descendants 2, you know that Uma is quite the scene-stealer so it's so interesting to find out a little more about her and how her pirate crew came to be! 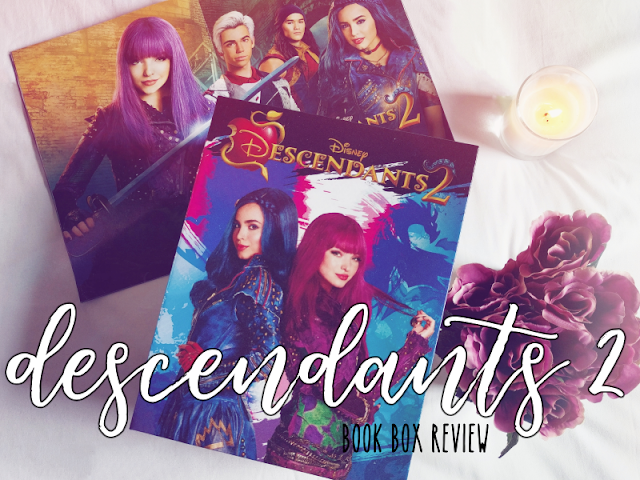 My only quibble is that the book seems to be written with a middle-grade audience in mind when I was hoping for it to be more young adult but it's a really enjoyable read and I'd definitely recommend it to every Descendants fan. It's basically like Descendants 1.5! Now that I've seen the second film I will definitely be reaching for this book to keep the magic from the film going! It features some beautiful colour photos in the middle of the book and each chapter starts with a little insight into Mal's thoughts which is a super cute touch! 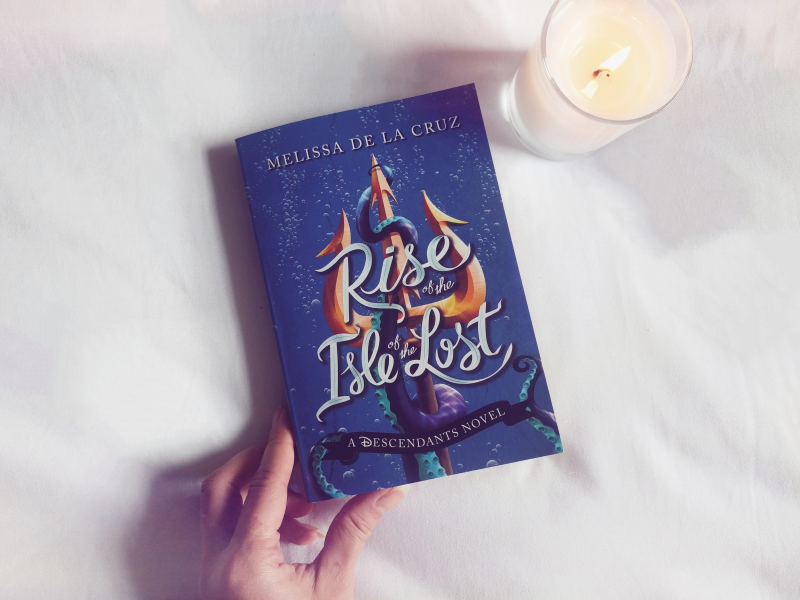 I can't wait to get to this after I've finished Rise of the Isle of the Lost. And finally these goodies are brilliant for getting your creative juices flowing! The activity book is filled with lots of activities from drawing your own magical spellbook cover to writing a page in Mal's diary which are all accompanied by lots of lovely photographs of all the characters. The beautiful happy tin also includes lots of bits to get creative with including over 50 stickers and personalisable pencil toppers! 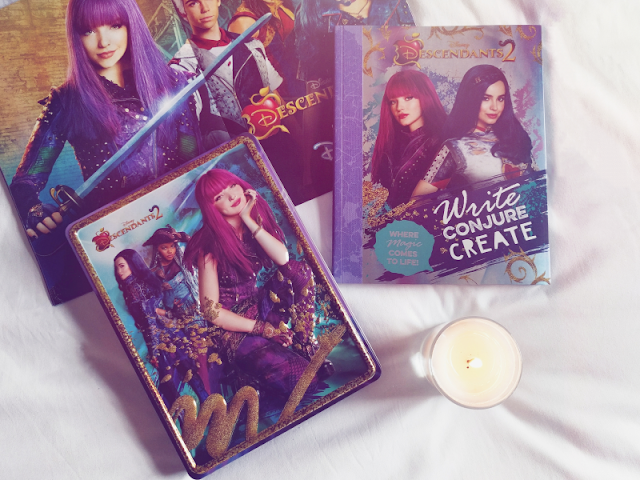 These would be the perfect Christmas gifts to keep any Descendants-loving kids quiet! If you want to get your paws on any of these brilliant books yourselves, they're all available at WHSmiths and Amazon, and you can also find them through Parragon's Descendants 2 website! Thanks so much again to Parragon for sending me these! Have you seen the new film yet? What did you think of it? I so hope a third film is in the works! Where To Get The Cutest Disney Planners From!